Brattleboro’s Police Department might be getting a carport. It’s one of the final recommendations of the Police-Fire Facilities Committee and will be up for discussion at Tuesday’s meeting of the Brattleboro Selectboard. The board will learn of improvements to the Union Station train station in the near future. They will discuss the FY19 Utilities Budget, initiate final designs for the waste process water line at Pleasant Valley, hold a public hearing on the revised Town Plan, learn about the downtown parking study, review the Solid Waste budget for FY19, and more. You can bring up other items not on the agenda during public participation, too. or probable civil litigation, and the negotiation of a real estate lease, and then reconvene at 6:15pm for the regular business meeting. ASL interpreters will be available for deaf and hard-of-hearing community members. The following will summarize the proposed motions for the Selectboard meeting on Tuesday, May 1, 2018. The Board will meet in executive session at 5:30pm to discuss contracts, pending or probable civil litigation, and the negotiation of a real estate lease. The Board will reconvene the business meeting at 6:15pm in the Selectboard Meeting Room. A. First Class Liquor License – Twin Flames LLC, d/b/a Twin Flames Taqueria The Board is asked to approve a first class liquor license for a new restaurant that is preparing to open at the location that formerly was Brattleburger. All the required paperwork is in order and Town staff recommends approval. POTENTIAL MOTION: TO APPROVE A FIRST CLASS LIQUOR LICENSE FOR TWIN FLAMES LLC, d/b/a TWIN FLAMES TAQUERIA AT 97 MAIN STREET. A. FY19 Utility Fund Budget – Discussion Town Manager Elwell and Public Works Director Barrett will present staff’s proposed Utility Fund Budget for FY19, including the Utility Fund’s Capital Improvement Plan and the Utility Fund rate ordinance. The Selectboard is asked to review and discuss these matters, identifying any issues on which members may require clarification or additional information before the Selectboard considers approving the FY19 Utility Fund Budget on June 5. B. Contract for Final Design of Waste Process Water Line at Pleasant Valley The Board is asked to approve a contract with Dufresne Group for final design of the waste process water line project to connect the Pleasant Valley Water Treatment Facility to the Town’s sanitary sewer system. This proposed $38,800 engagement will provide plans necessary for Town staff to construct this project later this year. Constructing the project with Town personnel will save hundreds of thousands of dollars compared to the estimated cost of contracting for this work and it also has reduced the cost of this final design phase of engineering services. POTENTIAL MOTION: TO AUTHORIZE THE TOWN MANAGER TO EXECUTE A CONTRACT IN THE AMOUNT OF $38,800 WITH DUFRESNE GROUP FOR THE FINAL DESIGN OF THE WASTE PROCESS WATER LINE PROJECT AT THE PLEASANT VALLEY WATER TREATMENT FACILITY. A. Selectboard Goals for 2018-2019 The Board is asked to further consider and possibly approve its goals for 2018-2019. The Selectboard’s notebooks include the same proposed goals and prior-year information as for the April 17 Selectboard meeting, along with additional proposed goals and information provided by Selectboard members Gander and Schoales. POTENTIAL MOTION: TO APPROVE THE SELECTBOARD’S GOALS FOR 2018-2019. B. Annual Selectboard Appointment to Windham Solid Waste Management District The Board is asked to appoint a Brattleboro representative and alternate representative to the Windham Solid Waste Management District’s Board of Supervisors. A. Vermont Agency of Transportation (VTrans) Matters – Department of Public Works (i) Approval of the Annual Financial Plan (ii) Certification of Compliance for Town Road and Bridge Standards (iii) VTrans Grant Applications (a) Pave a Section of Maple Street (b) Pave a Section of Hinesburg Road (c) Structures Grant to Replace Failing Box Culvert on Hinesburg Road The Board is asked to take five separate actions related to VTrans matters. The first two are annual assurances the Town must make to the State in order to continue to qualify for the State’s transportation related funding assistance programs. The other three are authorizations to apply for VTrans grants totaling $386,745. POTENTIAL MOTION: TO APPROVE THE ANNUAL “CERTIFICATION OF COMPLIANCE FOR TOWN ROAD AND BRIDGE STANDARDS AND NETWORK INVENTORY” FORM FOR SUBMITTAL TO THE VERMONT AGENCY OF TRANSPORTATION. POTENTIAL MOTION: TO APPROVE THAT APPLICATIONS BE SUBMITTED TO THE VERMONT AGENCY OF TRANSPORTATION FOR THE FOLLOWING GRANTS: (1) A PAVING GRANT IN THE AMOUNT OF $117,205 FOR PAVING MAPLE STREET, (2) A PAVING GRANT IN THE AMOUNT OF $97,340 FOR PAVING HINESBURG ROAD, AND (3) A STRUCTURES GRANT IN THE AMOUNT OF $172,200 FOR A CULVERT ON HINESBURG ROAD. B. 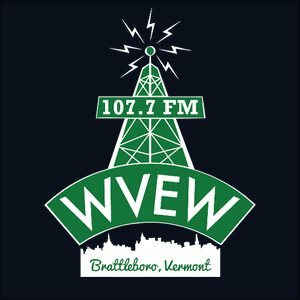 Proposed Settlement of Marcraft v. Town of Brattleboro The Board is asked to approve settlement of a dispute regarding the value of the Marcraft Realty Corporation property (the outlet center) at 580 Canal Street. The Town’s assessed value on this property is $2,012,170. That value was appealed based on an appraisal that indicated a value of just over $1,300,000. The Town had an independent appraisal completed and it states a value of $1,360,000. The parties have agreed to settle the dispute by establishing a value of $1,350,000. The Town Attorney and staff recommend approval of this settlement. POTENTIAL MOTION: TO AUTHORIZE THE TOWN MANAGER TO EXECUTE A “STIPULATION TO ASSESSED VALUE” WITH MARCRAFT REALTY CORPORATION IN THE AMOUNT OF $1,350,000 FOR PROPERTY I.D. #00340035.000 AT 580 CANAL STREET. C. Downtown Parking Study – Planning Department Planning Services Director Rod Francis and consultant Andy Hill of Desman Design Management will present the Downtown Parking Study for initial review by the Selectboard. It is anticipated that the discussion at this meeting will lead to additional consideration and action(s) at future Selectboard meetings, but no specific action is required on this matter at this time. D. Town Plan Amendment – First Public Hearing, Planning Department At the April 3 Selectboard meeting, the Board scheduled its two required public hearings on the updated Town Plan to be held on May 1 and May 15. The full text of the updated Town Plan is included in the Selectboard’s notebooks for ready reference during this first public hearing. No action is required at the May 1 meeting. It is anticipated that the Selectboard will approve the updated Town Plan at the conclusion of the second public hearing on May 15. E. Street Name Change – Bro Place to Lilac Lane The Board is asked to approve changing the name of a street on which there are only two homes. The location is off of Glen Street, which is off of Western Avenue, just west of the center of the village in West Brattleboro. One of the two property owners requested this change and the other has approved it. Staff recommends approval. POTENTIAL MOTION: TO APPROVE CHANGING THE NAME OF BRO PLACE TO LILAC LANE. F. Police-Fire Facilities Project (i) Recommendations from the Police-Fire Facilities Building Committee Regarding Use of the Remaining Bond Funds (approximately $300,000) (ii) Disband the Police-Fire Facilities Building Committee On April 6, the Police-Fire Facilities Building Committee (PFFBC) met to review the potential uses of approximately $300,000 in bond funds that remain due to savings on the construction of the new West Brattleboro Fire Station, expanded and renovated Central Fire Station, and new Police Station. The PFFBC’s specific recommendations are set forth in a memorandum dated April 26, 2018, from Town Manager Elwell (and the attachments to that memorandum). At the May 1 meeting, the Board will be asked to give preliminary consideration to the PFFBC’s recommendations and to authorize staff to expend an amount not-to-exceed $10,000 to complete planning and design work necessary to refine the scope and cost estimate for the proposed Police Department carport. That will allow the Board to have accurate and up-to-date information before making a final decision about what to recommend for consideration at a future Representative Town Meeting. On May 1, the Board also will be asked to acknowledge the good and now completed work of the PFFBC and to officially disband that advisory committee. POTENTIAL MOTION: TO AUTHORIZE TOWN STAFF TO EXPEND AN AMOUNT NOT-TO-EXCEED $10,000 FOR PLANNING AND DESIGN WORK NECESSARY TO REFINE THE SCOPE AND COST ESTIMATE FOR THE PROPOSED POLICE DEPARTMENT CARPORT. G. Grants for Ballistic Vests for Fire Department (i) Walmart Community Grant Program (ii) Firefighter Support Foundation Equipment Grant The Board is asked to approve two grant applications that, if successful, would provide 100% funding with no Town matching funds for the purchase of 12 ballistic vests for the Fire Department. Unlike the protective vests worn continuously by law enforcement officers (which are individually fitted for each officer), the Fire Department vests would be “one size fits most” and would be worn over the firefighters’ normal protective gear only on those calls where the location or circumstances cause reasonable concern that someone might try to harm a firefighter while they are on the scene of the incident. POTENTIAL MOTION: TO APPROVE THAT THE FOLLOWING GRANT APPLICATIONS BE SUBMITTED FOR THE ACQUISITION OF BALLISTIC VESTS FOR THE FIRE DEPARTMENT: (1) APPLICATION TO THE WALMART COMMUNITY GRANT PROGRAM IN THE AMOUNT OF $5,000, AND (2) APPLICATION TO THE FIREFIGHTER SUPPORT FOUNDATION IN THE AMOUNT OF $2,400. H. Union Station Project – Request for $15,000 to Begin Design The Town has a legal obligation to make accessibility improvements at Union Station and a desire to make certain other improvements, as well. Town staff has had extensive communication with Amtrak regarding the overall plan for improving the station and with the U.S. Department of Justice (via the U.S. Attorney’s Office in Burlington) regarding the minimum required improvements to comply with the Americans with Disabilities Act (ADA). The proposed design funding will be sufficient to establish a preliminary design and project budget for the minimum required project for ADA compliance and for a larger-scale project that would provide additional improvements at the station. I. FY19 Solid Waste Budget – Discussion Town Manager Elwell and Assistant Town Manager Moreland will present staff’s proposed Solid Waste Budget for FY19. The Selectboard is asked to review and discuss this budget, identifying any issues on which members may require clarification or additional information before the Selectboard considers approving the FY19 Solid Waste Budget on June 5. J. July 3 Selectboard Meeting – Confirm, Cancel, or Reschedule The Board is asked to consider whether it plans to meet on Tuesday, July 3. Alternative actions include confirming that the meeting will be held as scheduled, rescheduling the meeting to a different date, or simply cancelling the meeting in consideration of the holiday and summer vacation schedules.